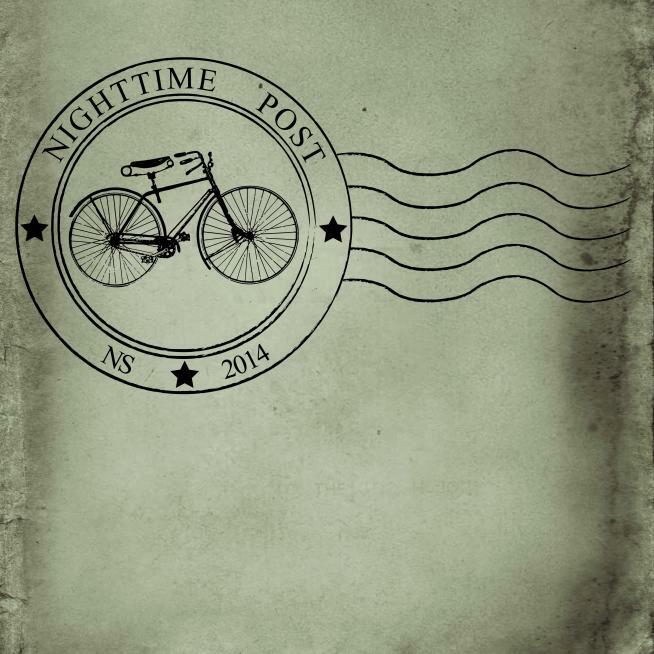 "Nighttime Post" postmark. Courtesy Anthony Chapin. "Nighttime Post" concept sketch. Courtesy Anthony Chapin. When night falls on the city, our surroundings become an urban wilderness. As inhabitants, we are vulnerable; we are often warned of the lurking dangers and mysteries at these hours. We don’t talk to strangers. We shield ourselves from nightmares. Nighttime Post responds to this fear of the dark and the disconnection it brings by delivering “messages of light” from citizen to random citizen throughout the night, illuminating the bond between strangers. Tonight we walk the city while others sleep. Nighttime Post invites us to offer dreams to each other and our shared surroundings. Messages will pass slowly through the night—from the heart and mind to the mouth, the ear, the typewriter, the bicycle, and finally the hands of the recipient. What wishes do you have for your fellow citizens? 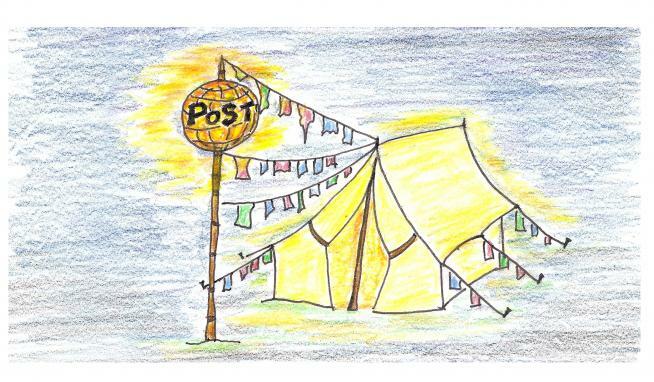 Find a Nighttime Post tent and spread some light. Postmasters are on hand to assist.